New Delhi : Indian skipper Mahendra Singh Dhoni may have contributed well to claim victory in the third ODI on Sunday against New Zealand to take 2-1 lead in five-match ODI series, but he took everyone by shock with his shocking words over his match finishing skills. Dhoni promoted himself up in the batting order to number 4 and paired well with vice-captain Virat Kohli; they scored brilliant 151-run partnership for the third wicket. While it seems perfectly fine as things worked in favour of India, Dhoni talked about the reason why he promoted himself up in the batting order. “I have batted lower down for a long time, I think 200 innings down the order. To some extent, I am losing my ability to freely rotate in the middle, so I have decided to bat up and let the others finish,” Dhoni said at the post-match presentation ceremony. India's one of the greatest match finisher Mahendra Singh Dhoni now finds it difficult to bat on his usual batting order number 6. 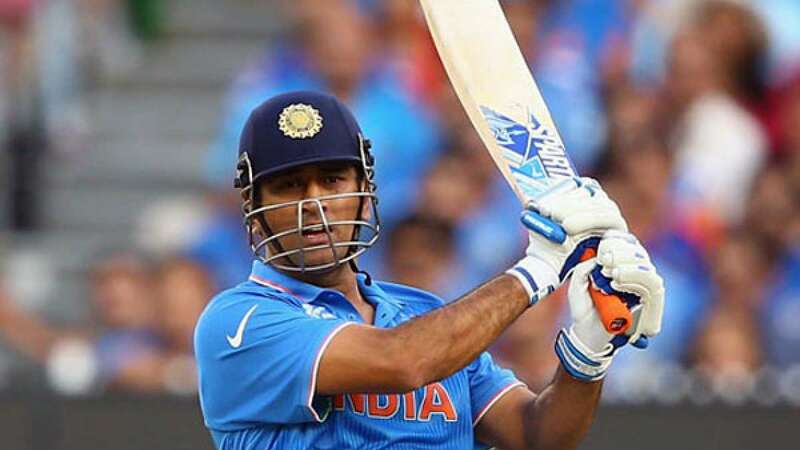 Dhoni, who recorded his 61st ODI fifty and went past the 9000-run mark, hit three towering sixes during his 91-ball stay before falling to fast bowler Matt Henry. “But I know I should still look for the big shots. Once you get 15-20 runs, you get into the groove. There were points in the middle where I had to pull myself from playing big shots,” said Dhoni. India will now face New Zealand in Dhoni's home turf Ranchi for the fourth ODI on Wednesday.